This is why you should add SSL to your website today! Home / This is why you should add SSL to your website today! Google now boosts search engine ranking on websites that have SSL (Secure Socket Layer). Google believes in making the web more secure and are willing to reward Webmasters who take the time to correctly install an SSL certificate on their website. Going forward, Google will also be labeling sites without an SSL as Not Secure in the Google Chrome browser. 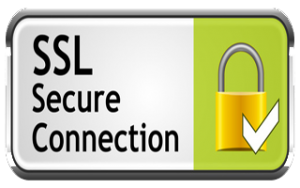 Get your SSL today for encryption, authentication, trust and Google. A generic SSL (https://secure11.securewebexchange.com/YourDomain.com/) can be added at no additional charge to ALL Knight Web Services Cloud hosting packages. Look for SSL manager in your control panel. A vanity SSL (https://www.YourDomain.com) can be added to your site for as little as $2.75/month.